IT’S OFFICIAL, Y’ALL! I’m going back to J-A-P-A-N. I know I’ve mentioned that Jessica and I would be heading back in April, but yesterday we finally booked our plane tickets. It’s happening! I love that feeling… having a solid plan. While I can certainly fly by the seat of my pants, I much prefer knowing that a plan is set in place. Anyone else?! This time I had enough AMEX points to book my plane ticket with, so it almost feels like a free trip. Isn’t that the best? I’m sure I won’t feel that way once we book our AirBnBs, Ryokans and hotels, but I’m going to enjoy this feeling while it lasts. This pretty calf-hair leopard coat is actually one I found while Jessica and I were in Hong Kong in November 2016. While Hong Kong wasn’t my favorite city in the world to visit, it did have great shopping! You can check out my mini travel guide from our trip here. 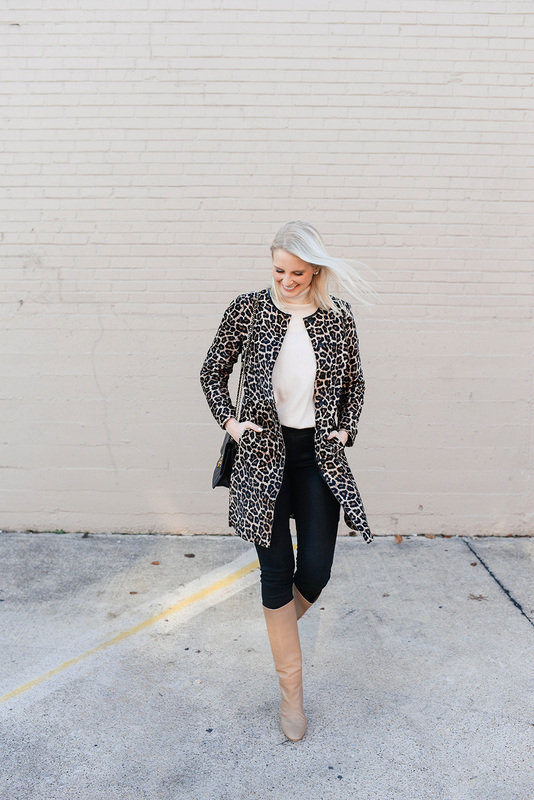 While this jacket is definitely sold out now, I’ve rounded up the best leopard coats of the season below… several of which are on sale!! Leopard is a classic and a neutral, so although you may only have a month and a half left to wear it, you’ll wear it for years to come. This A-line jacket is such a chic staple! Because it’s a shorter hem, you can totally wear this transitioning from fall to winter and winter to spring. 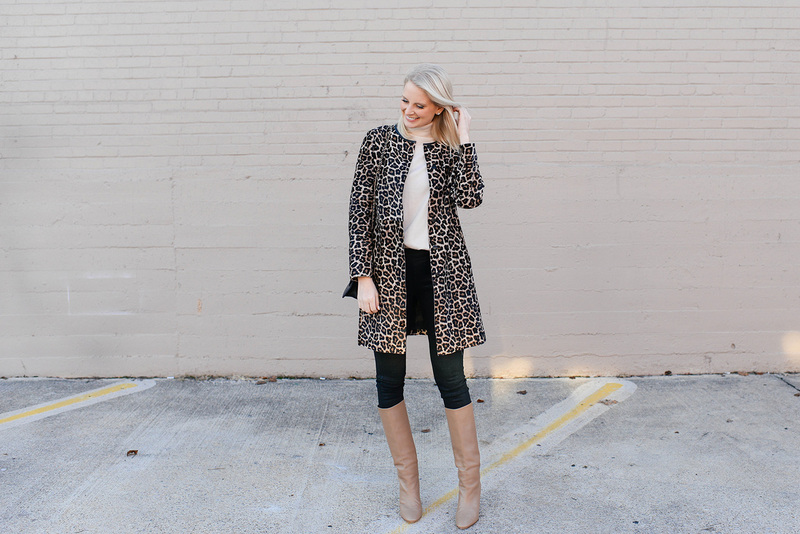 Loving the oversized print on this faux fur coat… plus, the price can’t be beat! You’ll definitely stay warm in this heavier lambskin coat – a bit of a splurge, but if you live somewhere cold I bet it’s worth it! There’s only one size left, but this Sara Battaglia coat is ladylike and so lovely – and it’s on sale for under $500 (and an additional 20% out upon checkout)! I’ve been eyeing this Alice + Olivia coat for ages! It finally got marked down and most sizes are still available. Love the collar! I’m thinking of snagging this La Vie jacket for myself – love the more muted colors! Go big, or go home… right? You definitely are going big with this coat. A big splurge, but so gorgeous! That is so exciting!! I can’t wait to see your photos from your trip! And that coat is gorgeous! 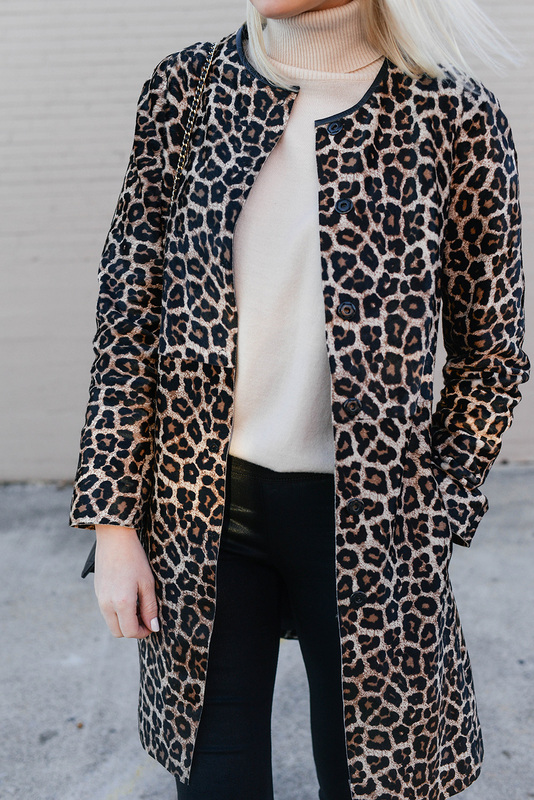 This coat is so good and yay for planning trips, so fun. I’m so jealous you are going to Japan! I’ve always wanted to visit. 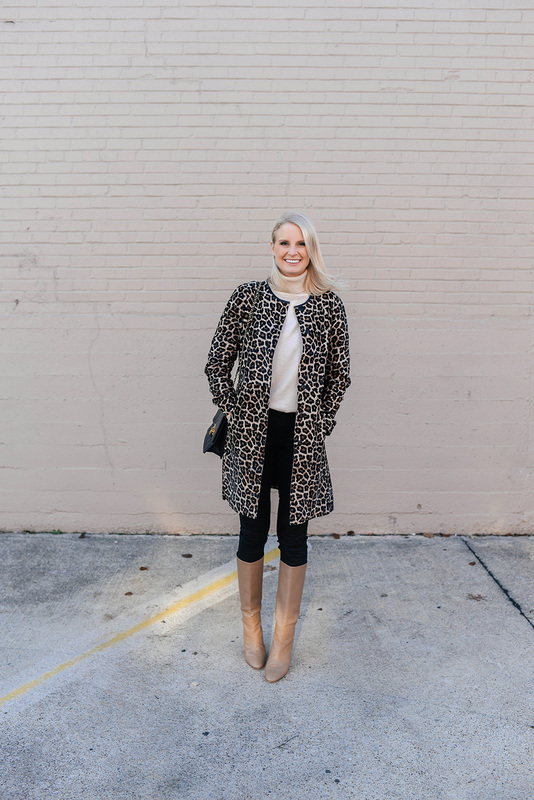 Your leopard coat is beautiful, such a classic piece!